On July 27, 2019, the Grand Guardian Council of Maryland Job’s Daughters International will be hosting their 3rd Annual Wags and Tags Rescue Ride and Chili Cook-off. 2. leadership training opportunities for the DE & MD members of Job’s Daughters International, a youth organization for girls and young women between the ages of 10-20 to foster leadership, charity, and character building. Our ride begins at Eisenhauer’s Chesapeake Harley Davidson in Darlington, MD and ends at Boumi Shrine Center in White Marsh with a Chili Cook-Off and Vendor Fair. Bikes & classic cars/trucks welcome! 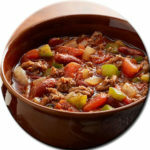 Enter your home-cooked chili for a chance to take home the top prize! Both sponsorships include name on the event t-shirt and a ticket to the chili cook-off. Take part in the vendor fair at the end of our ride at Boumi Shrine Center. The cost for one table is $25.